Vikki Bird Designs: The Blanket-along 2018! Over the past few months, a lot of my friends have announced that they are expecting babies (apparently these things, like weddings, come in clusters! ); I think the count is up to 7 already and there are still a good few months left this year! 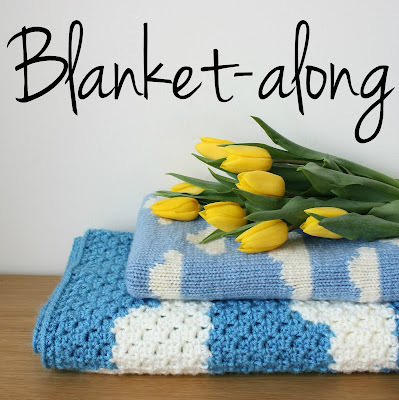 This has rather added to my knitting list, so I thought I'd host a Blanket-along in my Ravelry group to encourage me to get on with some gift knitting (and crocheting). The rules are simple, all you have to do is be working on a blanket (either knitted or crocheted) and post about your progress in the chatter thread. The Blanket-along officially started on 31st March 2018, but I am allowing works in progress to be included, so feel free to post in the chatter thread even if your project is ongoing. The end date for the Blanket-along is 30th June 2018, and there will be a finished object thread opening in the next few weeks for you to post your finished blankets to. There is an exception to the works in progress rule: your blanket will only be eligible for prizes in the FO thread if it was started after the start date. There will be prizes for the Blanket-along: I'll be drawing one winner from the chatter thread (so don't worry if you don't finish your blanket by the end of the Blanket-along) and one from the finished object thread. What will you make? 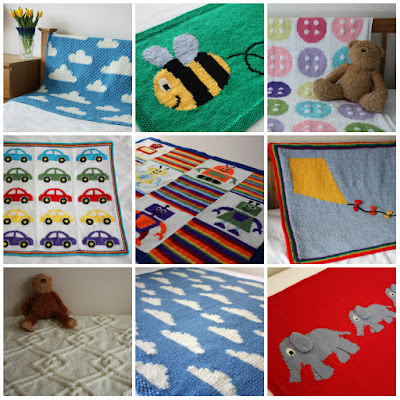 All these patterns are available in the blanket section of my Ravelry store. If you use Instagram more than Ravelry, feel free to post some progress photos on there, and either tag me in the caption (@vikkibirddesigns) or use the tag #vbdblanketalong2018 so I get to see your posts. So what are you waiting for? Head over to Ravelry now, say hello and let me know your blanket knitting plans. NOTE: You will need to be a member of Ravelry to join in with the Blanket-along; membership is free and Ravelry is an excellent resource for knitters and crocheters.